As I mentioned in my last next chapter update, I’ve set myself some fairly steep goals. Though I didn’t meet all of them, I’m happy to report that I met most of my goals for January. I continued drafting Tamisashki, the last of my epic fantasy series. I’d set my goal at 16,802 words (based on 542 words a day, which would allow me to reach my ultimate goal by the end of April). I managed to write 17,554 words, or 104% of my goal. And I did it even giving myself a break on the weekends (boggles). I don’t expect to be able to continue this pace beyond the end of March, but I’ll keep it up as long as I can. I only managed 74% of my 5,000-word writing goal on this blog, or 3,696 words. I’m never too distressed about not meeting my blogging goals. In some ways, it depends on how many tasty posts and articles I can curate, and that’s variable. I did write more than my 2,500-word short fiction goal for the month, but I didn’t finish the piece. Most of the extra words have been shunted into a secondary document, as I started to do the thing I usually do, which is to start building the world and backstory and detail to the point where short would no longer be tenable. What does the reader really need to know? That’s where I have to focus, moving forward. Still, 106% is satisfying. I met my goal of revising and formatting 31 poems in my collection. I’ve decided to work on the poetry in terms of poems rather than words or pages. Some of my poems are haiku. Others are several pages long (though the lines are short). It’s the most convenient way for me to track my progress in this respect. Finally, I wrote an 833-word piece for the WarpWorld blog in honor of the launch of the last book in the series. The theme was “the end,” and I chose to explore writer’s grief. My goal had been to write 750 words for them and so I surpassed that goal, as well, at 111%. I did start reading one of the pieces posted for critique in my group, but I’m already behind. I’ll find a way to catch up. 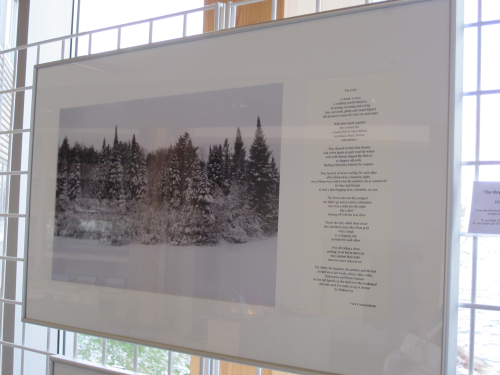 In January, I also attended Tracing our Wild Spaces, an exhibition of triptychs (poem, photograph, and painting) put together by Kim Fahner (poems and photos) and Monique Legault (beautiful, photo-realistic paintings). It was held at the Fromagerie on Elgin and will be displayed through February. Sean Barrette provided musical accompaniment and Kim read her poetry, which will appear in her upcoming poetry collection, These Wings. In February, I hope to draft another 15,176 words on Tamisashki, blog about 4,200 words, work on another 28 poems for the collection, write my next Speculations column for DIY MFA, finish my January short story (get it critiqued and edited, and submitted, somewhere), and write another short story. I might aim for flash, which will be even more of a challenge, given my propensities. As February is a short month, my goals are, accordingly, smaller. I’m trying to keep things reasonable. I’m going to keep on with the reading for the one critique and start on another. I’ve also started the Writing the Other Building Inclusive Worlds course. I’ve decided to add in a mention of what I’ve been reading and watching during the month. I used to post book reviews and do a periodic post on movies and series. As these posts have fallen by the wayside, I wanted to add something in so that you’d have an idea about what I spend some of my non-writing time doing. I started my 2019 Goodreads reading challenge with several books in progress. I finished N.K. Jemisin’s The Shadowed Sun (loved), Octavia Butler’s Patternmaster (liked), Marcy Kennedy’s Cursed Wishes (liked), and Mary Robinette Kowal’s The Calculating Stars (loved), before starting in on fresh books in the New Year. I started in on Patternmaster not realizing that it was the last in Butler’s series. It was the first written, though, so I’ve decided to read the series in the order written. Maybe it was whatever pulled Butler back to the premise again and again until she finally wrote Wild Seed, which is technically the first book in the series, that left me with the feeling that the book was somehow incomplete. I’ve been wanting to read The Calculating Stars since last summer, when it came out. It’s full of everything that made Hidden Figures great, and more. There are complex characters, loving relationships, and explorations of misogyny and racism in an alternate historical United States in which a meteorite takes out most of the eastern coast, including Washington DC. Loved. I have since read Sarah Gailey’s River of Teeth (loved), Signe Pike’s The Lost Queen (loved), K.M. Weiland’s 5 Secrets of Story Structure (writing craft, really liked), and Seth Dickinson’s The Traitor Baru Cormorant (liked). The Lost Queen was a book I discovered through the Kobo Writing Life podcast. They interviewed the author, Signe Pike, and I decided on the strength of that alone to purchase the book. It’s a different take on the legend of Merlin and based in historical research. It was a great historical fantasy and I’ll be looking for the next book in the series. The Traitor Baru Cormorant was a novel that I picked up on the strength of a recommendation. I generally don’t enjoy reading stories with unreliable narrators. The thing is that Baru isn’t really unreliable. She’s straightforward in her goals all the way along. It’s just that the things that she says at every turning point in the story can be taken multiple ways. I had to admire Dickinson’s craft in misdirection, but, as a reader, I also resented it. The book is written in a close point of view. The reader is privy to Baru’s thoughts. It is, most often, those thoughts that are misleading. Everything made sense in the climax, but I felt deeply dissatisfied. I haven’t watched any movies yet in 2019. In terms of series, I just finished watching the latest season of Outlander. I’m really appreciating the changes that are being made for the television series. In the novels, Brianna and Roger’s respective journeys in getting to the past were given short shrift, of a necessity, because of the focused point of view in the novel. They basically had to tell Claire and Jamie what happened after their arrival. They’ve kept the major events of the novel without getting overly complicated with the cast. Young Ian’s induction into the Mohawk was different in the novel, but the series weaves the threads together more cleanly. Vikings went off on a tangent when they killed Ragnar. I watched the final season, but, honestly, The Last Kingdom is SO much better. I’m really enjoying The Rookie. It’s feel-good without being saccharine. Also, Nathan Fillion. This next season of Star Trek: Discovery is also enjoyable. As is Deadly Class, though it’s so full of bullet plot holes … I’m more looking forward to The Umbrella Academy, in all honestly. Magicians has just started. I know it’s far removed from Grossman’s novels, now, but I’m enjoying it as its own thing. I finally got around to watching The Man in the High Castle. Not too far into it, yet, but I’m enjoying what I’ve seen so far. I’m watching a bunch of other stuff, too, on TV and on Netflix or Amazon (Good Omens, why can’t you be here NOW? ), but not much of it is noteworthy. Riverdale doing the D&D, excuse me, G&G is devil worship/brainwashing thing is so lame I can’t even. The other DC series, which I’m not even going to list, are uniformly meh. I watch Grey’s and Murder, but I could miss them—and not miss them, if you know wheat I mean. The Charmed reboot is ok.
One thing that I’ve noticed about the shows I watch is that I can often figure out what’s going to happen next. I read, and watch, like a writer, analyzing as I go. It’s when I stop analyzing and just get wrapped up in a show that I know it’s good. And that’s where I’ll leave you for this month. It’s been a monster post. Thanks for hanging in there. Here’s a few pics of Torvi. Until next I blog, be well, be kind, and stay strong. The world needs your stories! A few articles to get your mental corn popping. The extraordinary life of Nikola Tesla. Richard Gunderman for The Smithsonian Magazine. Bored Panda features photographs from the world’s coldest village. Monitoring the wildlife overpass on highway 69, March 20, 2017. Pete Mohrbacher has been painting surrealist angels since 2004. I would plaster the house with his work if I could. Angelarium. Ever twist yourself into philosophical knots wondering about the nature of reality? That’s okay, Professor Donald H. Hoffman says it probably doesn’t matter because living in a constructed fantasy world is the thing that allows us to survive. Robby Berman for Big Think. Mayim Bialik: girl vs. woman and why language matters. I love dance. So you think you can dance is the only reality television I watch. So this hip hop routine by Kyle Hanagami for Ed Sheeran’s “The Shape of You” kind of blew me away. See you on the weekend for my next chapter update. Time to get your mental corn a-poppin’! Anna Lovind wants you to find the vision that wants to be born through you. Kristen Lamb takes aim at the fashion industry. Chimamanda Ngozi Adichie: we should all be feminists. TEDX Euston. Throat singer Tanya Tagaq combats indigenous stereotypes. Liz Przybylski for KCET. Exorbitant food prices on the James Bay coast mean that children are going hungry. Olivia Stefanovich for CBC. Sweden is officially moving to a six-hour work day. The wreckage of Sir John Franklin’s HMS Terror may have been found. Garrett Hinchey for CBC. The Martian landscape looks like Utah. Phil Plait for Slate. Hugs and stuff, ‘cause you’re all grand, you are! See you Saturday for some movie madness and some series discoveries (midseason follies). 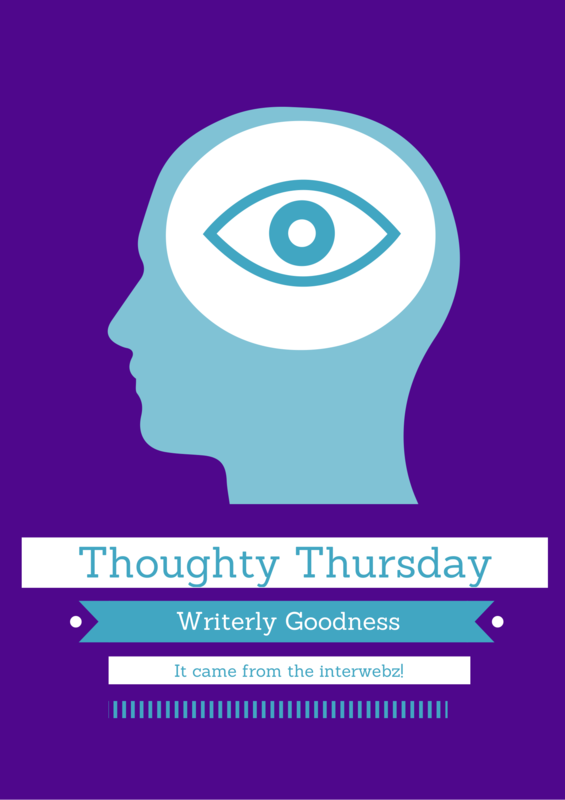 This week’s a little light on the thoughty, but I hope it will still inspire some writerly ideas. Thoughts on the creative life and well-being. The Creativity Post. The Conversation illuminates the connection between bullying and suicide. Victoria Weldon of the Herald Scotland writes about stamping out sexism in movies and television. Tess Holliday is the biggest thing to hit modelling. BuzzFeed. Breathtaking photos from the 2015 National Geographic Traveler Photo Contest. Quartz. This time-lapse video of a thunderstorm supercell is awesome. IFLS. Scientists discover anti-matter storms on Earth. IFLS. I shared this lovely video about our solar system being a vortex. Then, it was pointed out to me that it’s a crap theory. So disappointed. And another from Jason Major of Universe Today. Fearful memories haunt mouse descendants. Nature. And now for a little fun from from Tumblr: Before and after pictures of pets with their favourite toys. Come back on Saturday for more Ad Astra 2015 reportage. Finally! Pakistan jails 10 of Malala Yousafzai’s attackers. BBC News. Jon Krakauer: If you’re not a feminist, then you’re a problem. Penguin Random House’s Medium. Teachers in the secondary school board are striking right now. Here’s a couple of posts that deal with the issues they’d like to see addressed. 11 ways Finland’s education system shows us that less is more. Filling my Map. Schools should teach kids to think, not memorize. The documentary Most Likely to Succeed. Gotta watch this. The Huffington Post. Studies link social anxiety to empathic ability, high IQ, and sentinel intelligence. Spirit Science and Metaphysics. The secret weapon that prevents anxiety and depression? It’s not what you think. The Creativity Post. Depression can alter your DNA (!) IFLS. LifeHack lists 20 signs that you’re succeeding, even if you don’t feel like you are. Scientists turn pancreatic cancer cells into normal cells. Now . . . how close are they to releasing this treatment? IFLS. Why are some people left-handed? (I like to say that we’re the only people in our right minds – LOL). IFLS. Audi makes diesel fuel from water and carbon dioxide. IFLS. i09 presents seven lesser-known but fascinating Victorian inventors. A man knocked down a wall in his basement and discovered a hidden underground city. SlipTalk. Here are the winners of the 2014 Smithsonian photography contest. Amazing and beautiful photos. The Atlantic. And that’s your thoughty for the week. 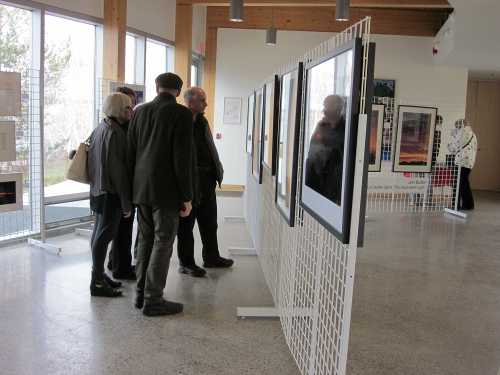 This afternoon, for a creative date, I treated myself to Jon Butler’s exhibit at the Living with Lakes Centre, La Cloche Spirit: The Equivalent Light. I did some visiting with the photographer and some of my friends from the Sudbury Writers’ Guild, did some Christmas shopping, and generally had a lovely time. The photograph that lent its name to the exhibit is, I think, my favourite. A thick fog rolls over the mountains, pools between them, as the sun rises through clouds, casting a purple strier effect across the sky. Against the shadows of further mountains, two wisps of fog chase one another, the lead one almost looking as if it has a head. 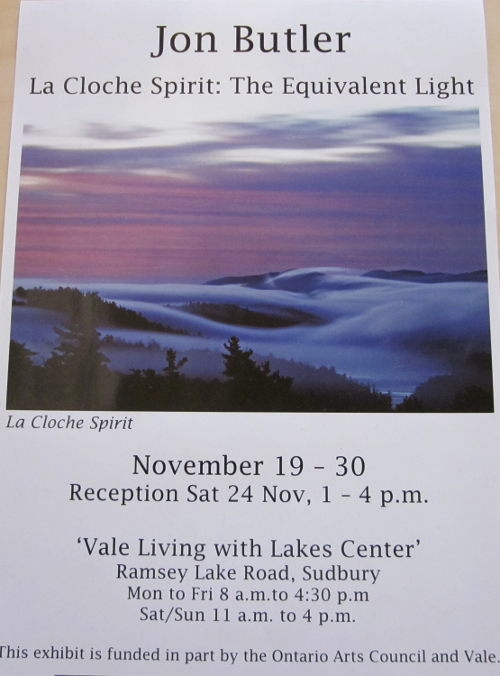 If I had enough disposable income to blow, I’d be installing the mounting hardware about now and ‘La Cloche Spirit’ would be hanging in my office in short order. I first heard of Jon a number of years ago, through my SWG friend Vera Constantineau. She and Jon worked together on an ekphrastic collaboration for the Manitoulin Writers’ Circle’s Cross-Pollination project. She’s since teamed up with Jon again, and here are the wonderful results. The two photographs reminded Vera of her family with the right number to reflect her aunts and uncles. Her poems, entitled “The Boys” and “The Girls” were inspired by Jon’s photography. “The Girls” has subsequently been published in The Antigonish Review. Jon does a little of his own ekphrasis too. 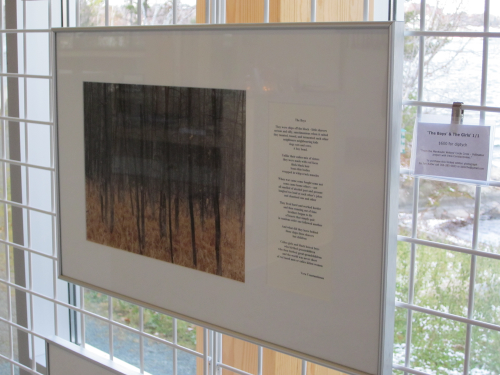 In these two photographs, he’s written haiku on birch bark and inserted them into the frame. 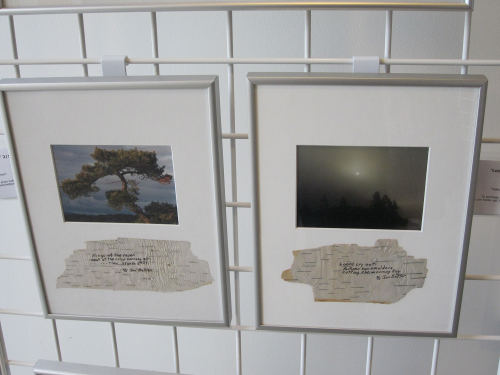 In addition to the framed photographs, art cards are available for purchase, and Ian Tamblyn’s Willisville Mountain CD, also inspired by Jon’s work. Apparently only a few copies of his coffee table book of photography remain at the Art Gallery of Sudbury, so if you’re in the market for a lovely Christmas gift, hit the AGS before they’re all gone. 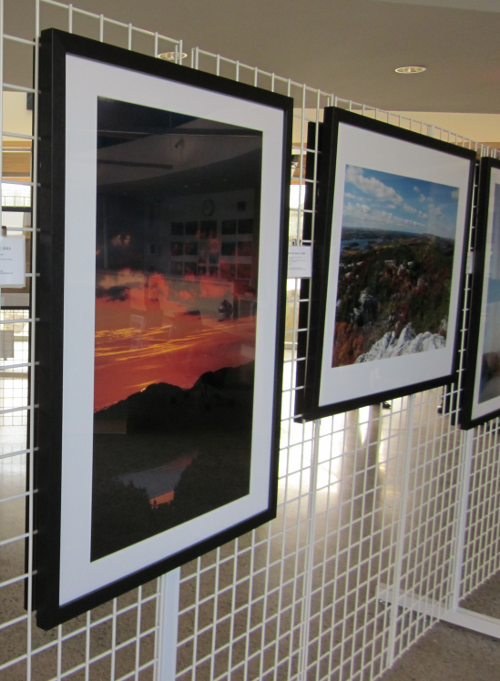 It’s well worth your while to visit the exhibit, even if it’s only to gaze longingly at and be inspired by Jon’s beautiful photography. Of course, you can also visit his web site or find him on Facebook if you want to know more about Jon and his work.